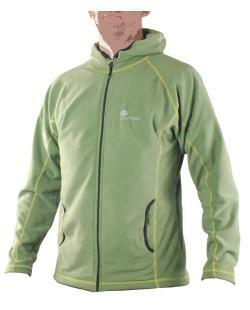 Our fleece Jacket for the camp, chilly evenings or cold weather hikes. Very relaxed cut with a hood and two pockets. All seams flat stitched for comfort. The hood has an elastic enclosure to ensure a tight fit while wearing. Two hand warmer pockets with a lycra finish for comfort.